Christine Battle Dip E.G.S. FLS. She has exhibited in New York, London and Sydney and her work is held in the Hunt Institute, Pittsburgh, USA. 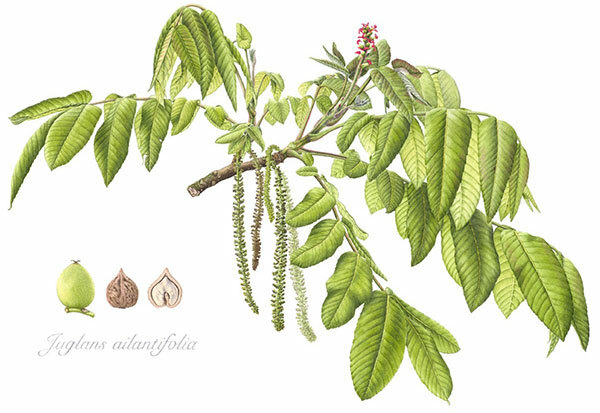 She regularly contributes illustrations to Curtis’s Botanical Magazine, published by Kew Gardens, and has three paintings in the Transylvania Florilegium, produced under the aegis of HRH The Prince of Wales’s Foundation Romania. 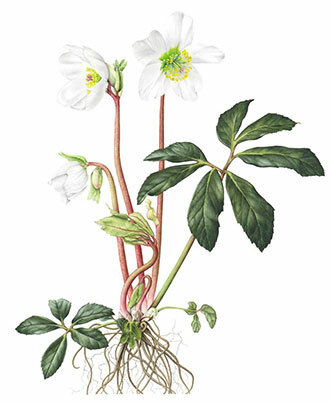 One of her latest paintings is of Helleborus niger, which has been included in the new Pharmacopoea Londinensis, newly illustrated and re-published by the Royal College of Physicians after 400 years. Christine trained at the English Gardening School at Chelsea Physic Garden and works in the traditional manner using watercolour on hand-made paper.